Moving to correct a few, uh, mistakes in the Tesla Financing plan, Tesla Motors CEO Elon Musk announced on Friday some refinements to the Tesla Model S financing program. The changes are in reaction to criticism for the financing program announced a month ago, such as the analysis by our own John Goreham. The changes include an increase in the resale value guarantee, a lengthening of the overall term, and some tweaks to the calculator on the Tesla Motors website. Several changes were made under the new financing program, and Musk promised to change (improve) the program in the future. Since it went into effect perhaps 20% of Model S purchasers have chosen the financing program, and over the long term Musk believes that may increase to 60-70%. The resale value guarantee has been increased from 43% to 50% making it the highest of any premium sedan brand made in volume. This resale value guarantee says that after 3 years, a Tesla Model S owner will be able to sell the car back to Tesla for a guaranteed price. They are not required to do so, they simply have the right to do so. The idea is to give peace of mind to the customer, and to underscore the guarantee, Elon Musk is personally backing the program with his personal fortune. The increased resale value guarantee applies retroactively to all purchasers since the program began, a month ago. "If we believe we're making the best car, we believe it should have the best resale value," said Elon Musk. Tesla's financing partners have agreed to provide longer term loans (from 63 months to 72 months) that reduce the monthly payment considerably. They've also made a few tweaks to the calculator on the website to better reflect normal expectations. While some observers think the future cost of gasoline is going to increase significantly, not all share that theory. Not everyone can take business use tax credits, and even those who do think that 70% is a better value than the 80% in the calculator. Not everyone sees a monetary value to the time saved while commuting. The defaults in the calculator have been changed accordingly, and people can still plug those values in if they choose. Musk closed by saying, "As a cash purchase, cars are kind of expensive. As a finance purchase, I think it becomes increasingly affordable. 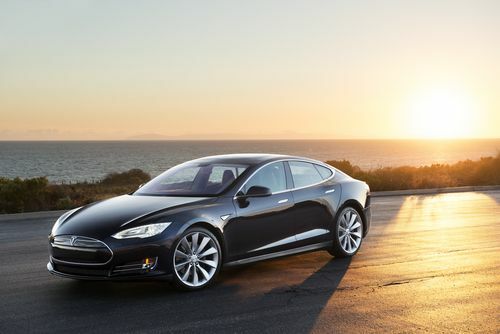 With a cash purchase [the Model S] is accessible to the top 1% of households in America. With the right financing approach, it becomes accessible to the top 10% potentially."